Your car carries valuable cargo: you and your loved ones. That’s why it’s essential to have a trained technician monitor and maintain the condition of your car’s brakes. 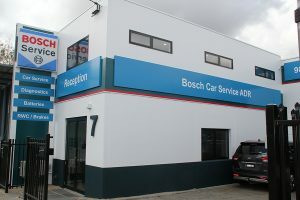 Ringwood’s leading automotive workshop, Bosch Car Service Ringwood, is your go-to for brake service, brake repair and brake pad replacement. Part of the trusted Bosch Car Service Network, you can count on us. 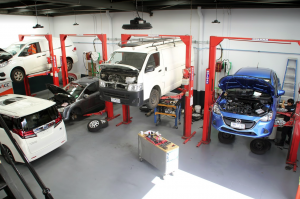 2 decades, including Nunawading, Mitcham, Vermont and Croydon, providing reliable and affordable brake repair services. Brakes should be checked every six months to ensure optimal functioning, and are inspected as part of Bosch Car Service Ringwood’s general car service. It’s important to keep an eye out for signs that your brakes are in need of an early check-up or repair, especially if your car undergoes heavy use. Your peace of mind on the road is our top priority. 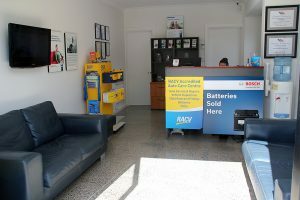 We’re committed to providing the highest quality of workmanship, and that’s why drivers rely on us for comprehensive auto care in Ringwood and throughout Melbourne’s east. Don’t put it off this essential component of caring for your car – call Bosch Car Service Ringwood today on (03) 9879 4559 or fill out our booking form, to make sure your braking system is working at its best.